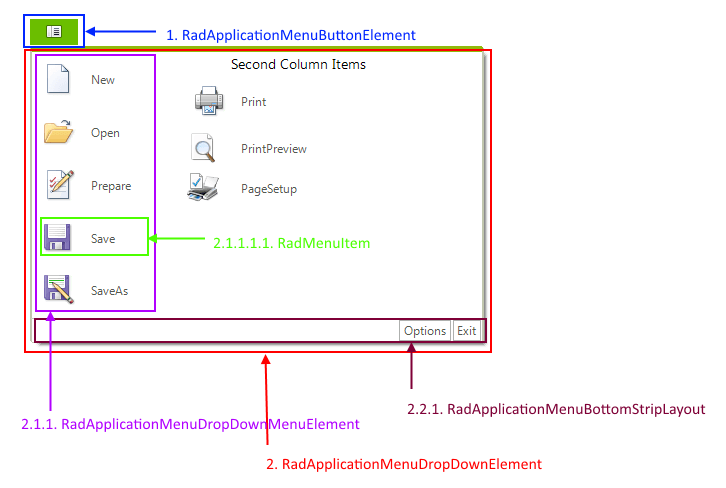 This article describes the inner structure and organization of the elements which build the RadApplicationMenu control. 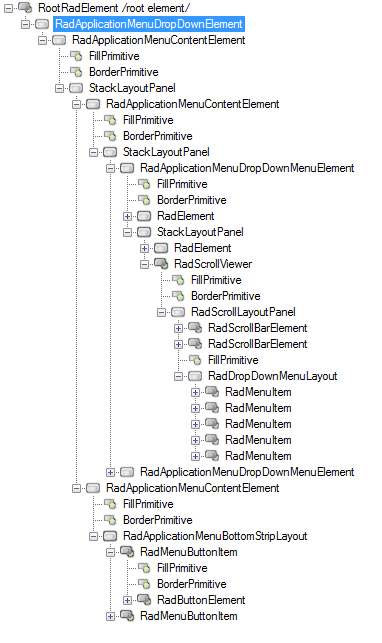 2.2.1.1. 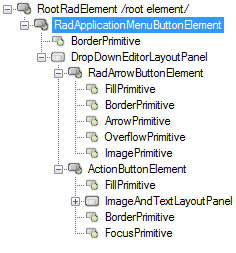 RadMenuButtonItem: represents the menu button item.